LCTA has re-installed the trail counter that was buried in the Skokol Park berm last summer. 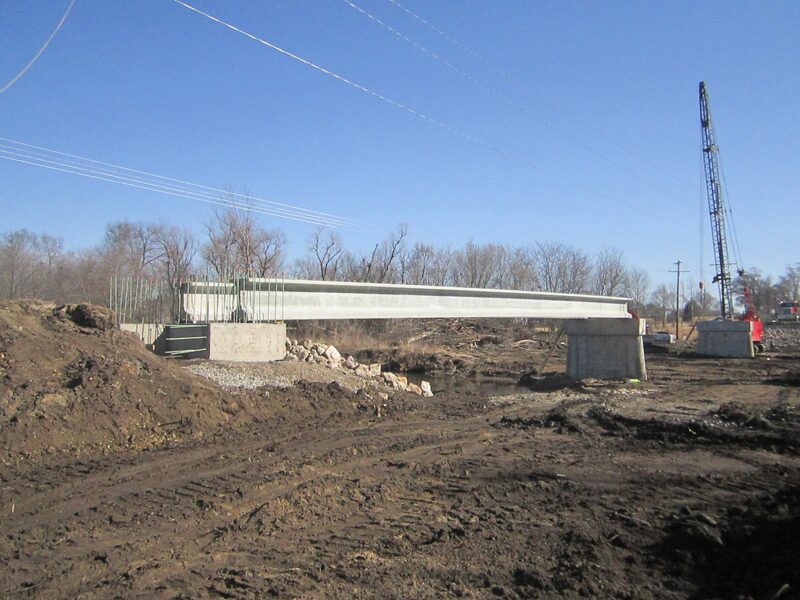 It is now further down the trail just past the Mt Trashmore entrance but is still called Sokol Park trail counter. When you go by, please stop and report the counts at linncountytrails.org/trailcount. With a smart phone, it is very easy and quick to do on the trail right at the counter. 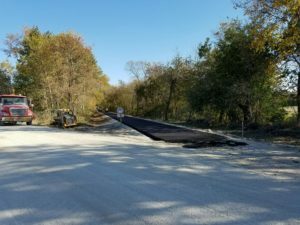 There is now a temporary mostly black limestone trail from 16th Ave SW (Sokol Park) to the Mt Trashmore entrance where the Cedar River Trail continues. All trail counters in the Cedar Rapids Metro Area are now operating except the the counter in Center Point. The Cedar Valley Nature Trail is closed at Iowa St in Center Point due to paving the trail through Center Point. Please stay off the closed trail. The trail should reopen sometime in June. Stay tuned. 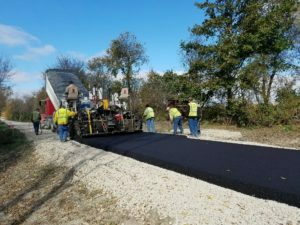 The concrete paving of the Cedar Valley Nature Trail within the town of Center Point has been scheduled to start on Monday, April 3rd, weather permitting. 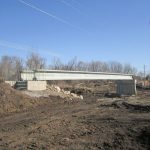 This section of trail will be paved with concrete, and extends through town and ends at the Apple Creek Bridge. 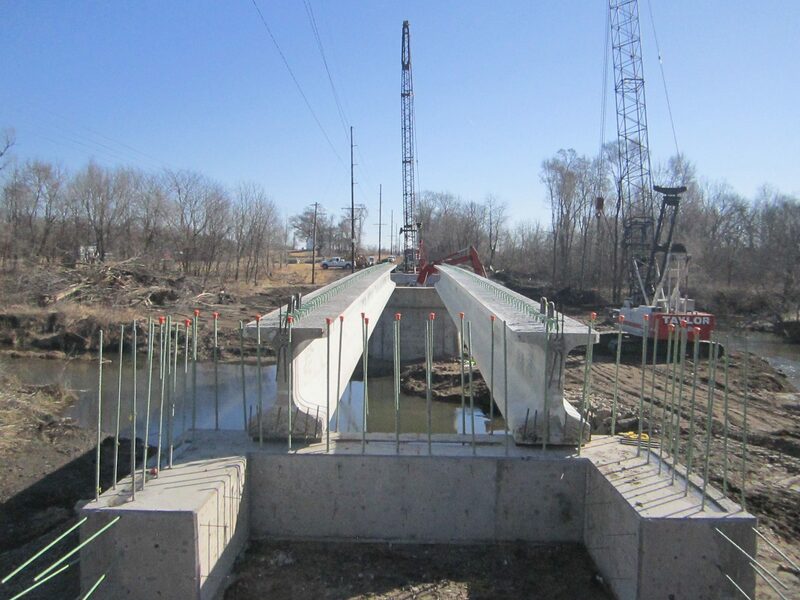 The bridge over West Blue Creek (NW of Center Point on the CVNT) is still under construction as well, and the contractor hopes to start paving the bridge deck, but it’s also contingent on the weather outlook. The weather is improving and it is time to get out and use the trails. We need you to read and report the trail counter numbers. All counters have now been installed except Center Point and Sokol Park, which are unavailable due to construction. Please use your computer or smart phone to report to linncountytrails.org/trailcount or use the QR code reader with your smart phone. Also check that the counter is working. The smart phone is the quickest and easiest way to make a report by doing it at the counter location. In order to get reliable and smooth data we need reports from each location once or more per week. A map of the trail counter locations is at: http://linncountytrails.org/lcta-trail-counter-locations/. 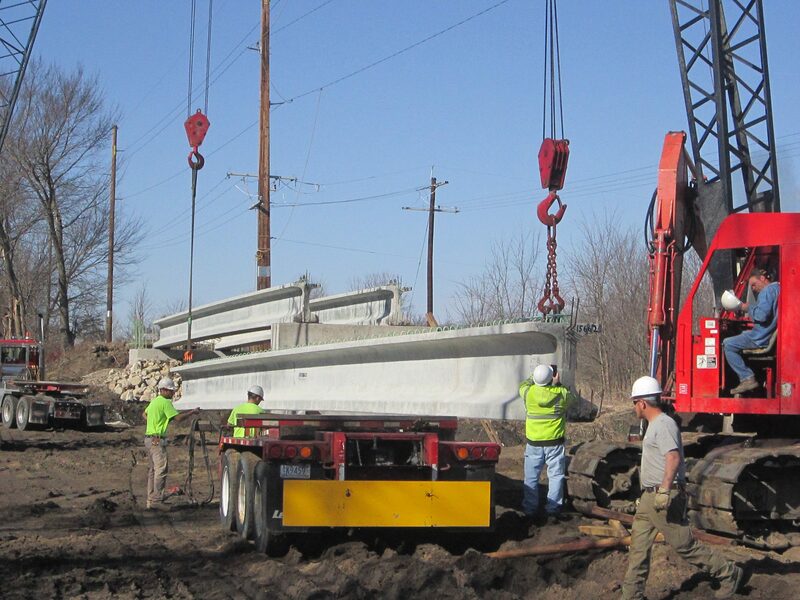 These reports are very important to justify trail maintenance and construction of new trail. 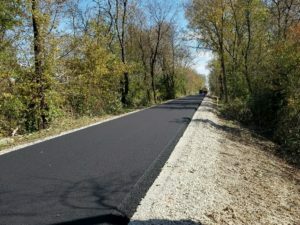 The paving of the Cedar Valley nature Trail up to Iowa St in Center Point is complete and open. 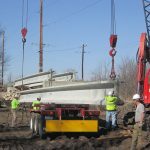 Paving through Center Point will be completed this spring. 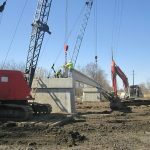 Linn County Conservation is in the process of replacing the bridge across West Blue Creek, just north of Center Point on the Cedar Valley Nature Trail. 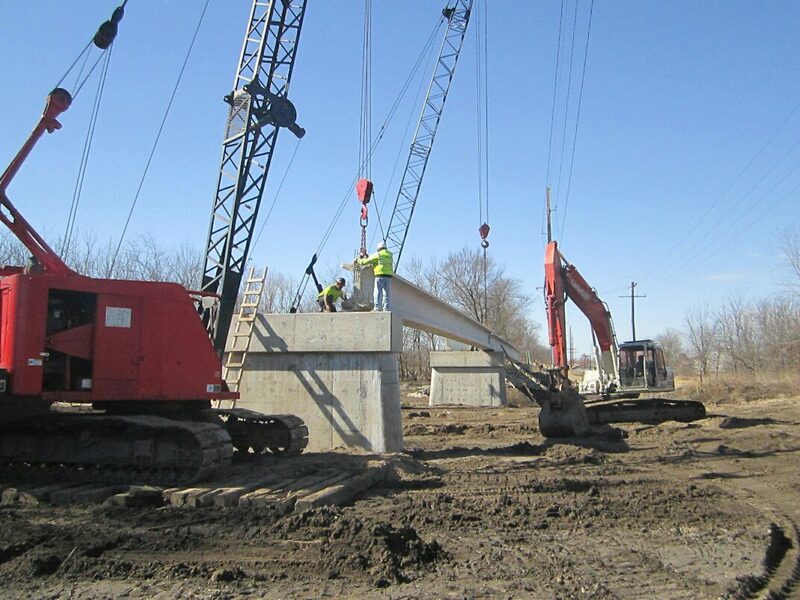 They have shared some construction pictures with us. 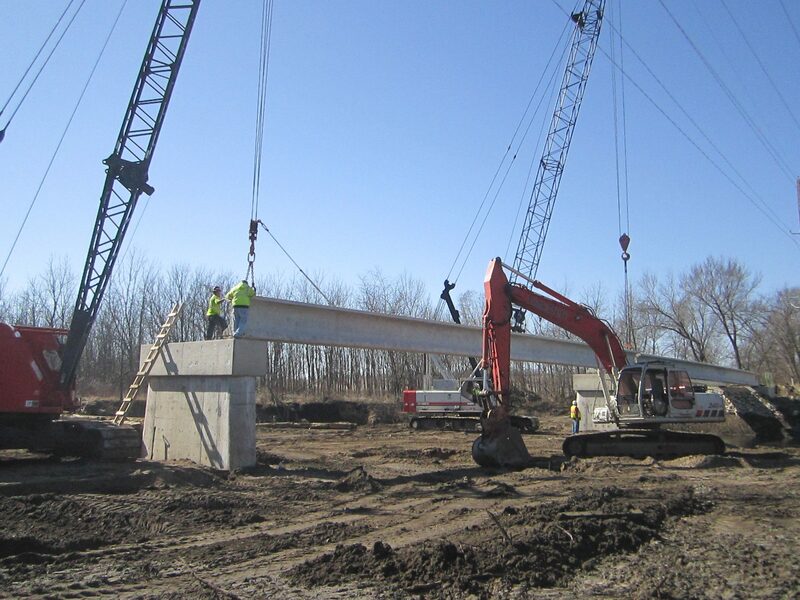 At our last board meeting they mentioned that the favorable weather is helping keep the project on schedule. 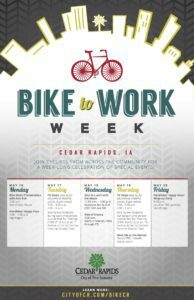 Bike to work week is next week! 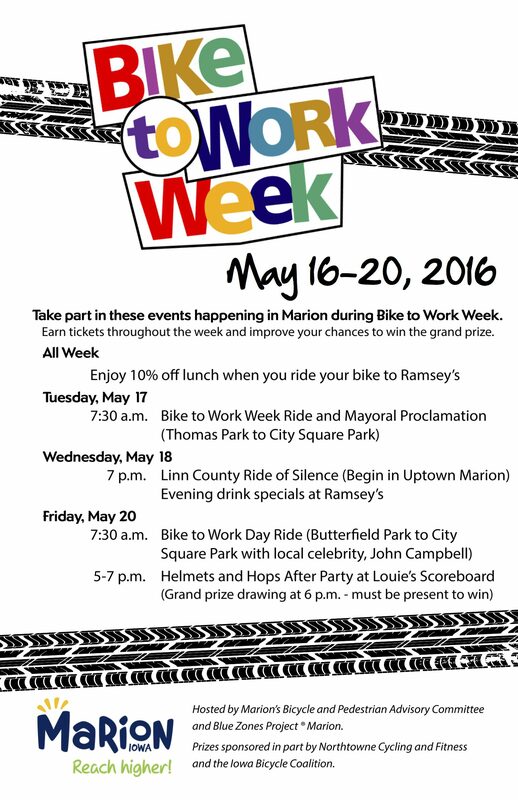 Please see the posters attached to this post for the full schedule of events in Cedar Rapids and Marion. The Linn County Trails Association has decided to move our board meetings and have also decided on a new meeting time. Attendees should use the gated entrance between the trees. LCTA has tracked trail usage since 2004. 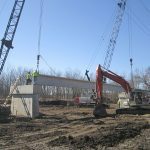 It is an important means to justify trail construction and maintenance by demonstrating the importance of trails. We rely on trail users to report the counts. In the past that was entirely by email reports. We have now moved to a more efficient online reporting system. The counts can be reported from the trail with your smart phone or at home from your computer. The online reporting link is linncountytrails.org/trailcount. We also have posted a QR code on each counter that will identify the location of the counter and record the current date and time so you will only need to enter the 6 digit count to make a report. Free QR reader apps are available from Google Play or Apple App Store. We have infra-red counters at 12 locations within the Metro Area. See a map of counter locations at linncountytrails.org/lcta-trail-counter-locations/. (The Center Point counter has been removed in preparation for paving.) Each counter post has a yellow sign explaining how to report the counts and the QR code for that location. PLEASE HELP US PROMOTE MORE AND BETTER TRAILS IN THE METRO AREA.